12 PCS WAX CLAY DIYA for diwali decoration or to accompany your diwali return gifts. *Note - Will ship colors based on availability. This item in Unique Diwali Gifts category was first added to our catalog on 09-22-2017. 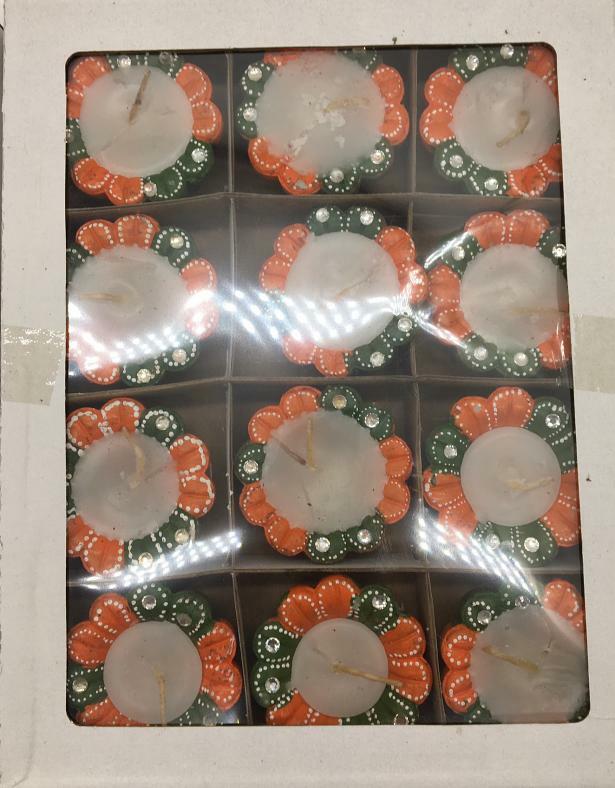 Buy Colorful Traditional Design Wax Clay Diwali Diya - 12 Pcs, sold & shipped by Dollar Bazaar where you can shop online for Indian Handicrafts, Home Decor & Traditional Gifts. 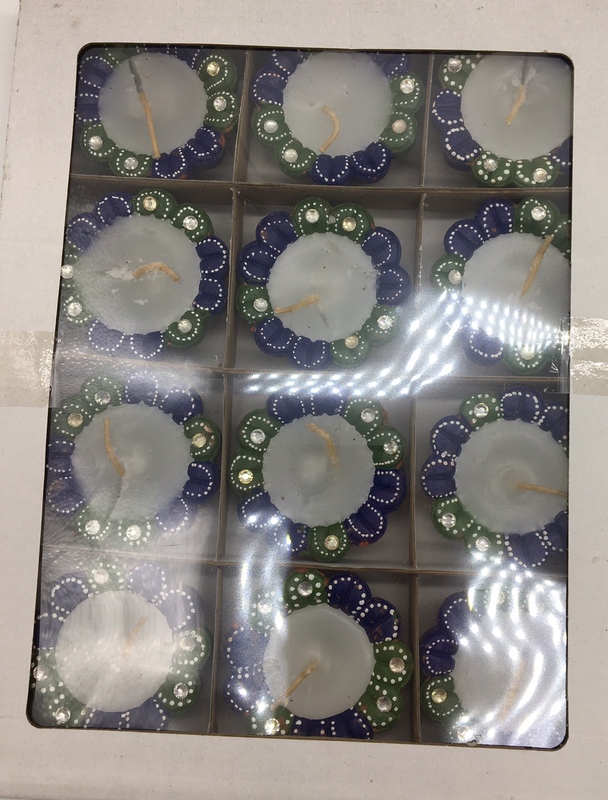 This Clay Diwali Candles collection has been tagged as Diya, wax diya with wicks, Pooja, Diwali Gift Set, Diwali Diya, Home Décor, Return Gift, Wax Diya. Traditional Indian Bajot / Chowki w/ Meenakari Work 4"